" excuse me rajath" she went abruptly. "oh man y was she so rude today bro plz don't mind she might be in some tension. She is the one arranging all the things here"
. " ram she is single mother works so loyal she is my family friend too. Because of her only I became normal after jyo's death"
" u take care of her and her family?" " priya is jyo's friend and so been my friend too we are a family now" ram hugged rajath for protecting and taking care of his family . his love..
" am proud of u my bro" priya is seeing this from a corner of the corridor. It was ram her love and her husband who cheated on her. She called a student to invite ram kapoor, she can't avoid inviting him to dean's office with a flower bouquet. She preferably avoided red and white colours, took a bunch of yellow flowers . ram wants to talk to her. " yellow ' symbolises friendship." priya gave a bad look to him . " I mean . rajath my wife used to say that .. yellow is for friendship" .priya thinks, Ur even have such a good sense, she only minds does the colour suits her or not. . " haan .. yaar priya and jyothi made me wear a yellow shirt to a friendship day party in the college u knw . was the weird day in my life but still I loved it all I did is for my best buddies." "BTW I found some one is missing their wife." rajath started teasing ram. " haan rajath .. I love my wife lot I can never forget my love". Ram meant was priya but priya took that for Ayesha. Got irritated but cannot say anything in front of rajath . " rajath if it is ok we can move ahead to the seminar. If u could excuse me I will go pick riya home she was upset I came late last night too" . Attempt to avoid ram . rajath asked cady to get her to college , so that after seminar she can leave home. It was 3 months after they left each other at the airport. There was no such day they forgot the moments they spent together. They dint have their contact's . none of them do not knw what exactly they are in their lifes. Sometimes they wanted to ask their sibilings abt each others details but no what do they think of them ? made them to pause. It was a busy day . ram had an appointment in a college. Was an interaction with the students. Priya was busy in arrangement of the interation secession of students with a business man . she was eager to see the man because she read many articles of the man. he is a kind of inspiration to priya even . he is none other than RAM KAPOOR. Priya was running in the corridor with her phone and ram is approaching her talking on phone. Ram was not in a mood that day to take a part in the session . because his thoughts were around priya. He was there to say the authorities his apologies. On his way he dashed to a women . her phone fell down , seeing her his emotions danced , he could not show his excitement . his heart was overflowing with joy . she picked up her mobile looked at him saying SORRY . " HEY'..! Raam .. I CANNOT BELIEVE ITS U" " priya .. how r u .. I mean u here." Both are utmost happy seeing each other after so many months. 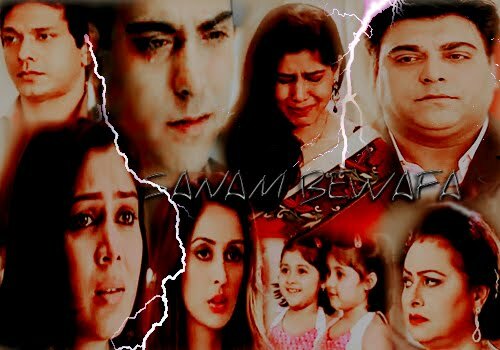 It was, they are living in each other's memories ., priya rejected al the marriage proposals she got after meeting ram. She know her heart won't accept any other except ram . Ram was not interested in any women to whom he was introduced to. Words remained still , ram wanted to hug her and show her h e craving for her al these months. Priya was about to speak she saw her principle running towards them .. priya rushed to her work saying " ram don't leave the college without telling me like u went last time in the airport. I gotta go if not that old man wil come buzzing me" she ran away from there looking at ram . principal came and greeted ram . ram was lost in priya. He stood staring at the way she went. He enquired the principal abt priya. She heard the voice from student's it brought her back to present' " aww .. he is so handsome, I feel like kissing him. He is married, I envy his wife. Another girl.. any girl will never dare to say no to him ,.. he is handsome and more over he is rich. "last words stuck to her mind. This is the reason ram and Ayesha are a pair. Her anger winced on her face.. Thinking. What a bloody charm he spill on these young girls. He is 35 now , still manage to look charming , handsome. These girls better know ki he is a father of a kid. Whatever y r u bothering him priya. He is no more ur's and the girls talking about his wife , that is not u but ur sister Ayesha. A tear rolled down her eyes.. how could u do that to me ram ? she wiped her tears. Continued her work . ram noticed it .